When I did a review on Kohana Girl Organics, Dawn introduced me to Ryan from PostGame (HERE). Kohana Girl Organics focuses on body care for little girls and PostGame created body care products for young boys. PostGame began in February 2009 as Ryan shopped for shampoo with his two young, athletic sons. They had trouble finding anything that wasn't girly, aimed at toddlers or at the opposite end of the spectrum, that didn't have strong, heavy cologne scents. Ryan wanted something for his sons that they saw as “cool” that he thought was high quality, age appropriate in scent/message, and effective in cleansing his athletic sons. He also wanted something that incorporated sports. As a life-long athlete, Ryan has first-hand understanding of the irritations caused by showering multiple times per day. The amount of water an athlete is exposed to, especially if it’s hot, can be detrimental to skin, particularly with the wrong products. All PostGame products include a significant amount of conditioner and lotion to ensure proper hydration even with repeated daily use. During development, he spent a significant amount of time researching safety in shampoos and body cleansing products. Respected publications link sulfates, parabens and phthalates to minor reactions such as skin allergies and eczema, as well as major concerns including cancer and birth defects. The conclusion was simple: PostGame is better off without those chemicals and he invested extra time and money to ensure they were not included in theirformulas. As a result, all PostGame products are sulfate, paraben and phthalate free. It was important to Ryan that PostGame fragrances not overpower a room and have age-appropriate appeal. He developed the sport scents to be noticeable but not unbearable: no heavy colognes, simply a new, fresh and appealing scent that first and foremost smells clean. Specially designed for athletes, POSTGAME's lightning-quick lather and invigorating fresh scent eliminate serious sweat, odor and dirt build-up. The conditioner rich formula leaves your hair and scalp feeling smooth and manageable, never dry. Specially designed for athletes, POSTGAME's lotion-rich body wash moisturizes your skin while it cleanses, leaving your body refreshed and ready for action. Enjoy the subtle sport-fresh scent for hours after your shower. Cost: $6.95 -- The perfect price for some stocking stuffers for your young man. I know that I personally struggle with finding stocking stuffers for Little Dude (Little Diva is easy to shop for). I can only imagine how difficult it gets as they reach the pre-teen and teenage years. PostGame products are perfect to slip into their stockings and at the perfect price. Enter now though Sunday, November 28. I came across the Inspired Endurance (HERE) both at a race expo earlier this year. They had so many fun things at their booth, that I just had to check out their website. Inspired Endurance is pleased to feature an extensive, always growing line of women’s runner jewelry, triathlon jewelry, marathon gifts, runner gifts, and inspirational jewelry, primarily handmade in the USA. From endurance and inspiration beads to necklaces to custom race tags to bead bracelets and more, they have something for all you do and all you aspire to achieve. Answering the demand for unique products that represent tremendous accomplishments, they are committed to bringing you designs that reflect a feminine yet strong attitude. They offer easy to wear, dynamic designs for seasoned and novice female athletes alike. Committed to you as triathletes themselves, they share in your personal triumphs and don’t ever want to disappoint! Each and every item we sell is 100% guaranteed and we strive to go above and beyond for their customers. Since I just proved that I am (after reaching my mileage goal for the year! ), I chose the "Be Fabulous" Inspiration Slim Cuff Bracelet w/Star (HERE). This fun cuff bracelet is made of Sterling Silver w/Brass and retails for $50. This bracelet would make a great stocking stuffer idea, but is a little pricey on Santa's budget. Still, it would make a nice one-of-a-kind gift for the holidays, birthday or to celebrate a loved one's great achievement for the next racing season. Or just celebrate yourself!!! The artisan-crafted skinny cuff bracelet brims with style. The hammered and stamped sterling silver design with riveted brass star accent features your choice of 8 meaningful sayings. The inspirational look is perfect for the runners, marathoners, triathletes, and other shining stars in your life. There are so many great pieces of jewelry, charms, and pendants in the Inspired Endurance Running Section (HERE). I love these custom engraved race tags (HERE), where you can get your race information etched onto a tag. And, they are only $10/each. How fun would it be to make one for each of your races into a fun charm bracelet?!? There are also tons of fun half marathon and marathon pieces to celebrate your 13.1 and 26.2 mile accomplishments as much as you want. Go ahead, you did it, you deserve it!!!! 1,400 Mile Goal Reached by ME ... Bondi Band Giveaway for YOU! At the end of last year, I had set high goals for myself. I had (only) finished one marathon to date (and several halfs) and crossed the 1,200 mile mark by the end of last year. I wanted to set higher goals for myself for 2010. I decided that I was going to run 1,400 miles by December 31. I had six miles planned for today and twelve for tomorrow. With less than thirteen miles left to reach my goal ... I just decided to hop on the treadmill this afternoon ... and GO. Four miles in, I felt great and knew that I was going to run a half marathon ... on the treadmill. I felt awesome the entire time. I cranked the iTunes, turned on the Style Network on mute, opened the windows and the blinds and watched the sun set over the next 1:59. I downed two bottles of water and Little Diva got me a gel at mile 7. I felt awesome and only stopped once, because my new treadmill apparently is set to turn off at one hundred minutes (Apparently there are few crazy people like US in the world!). Well, with 41 days left in the year, I just crossed the 1,400 mile mark of my journey. I just physically stepped off of the treadmill. I cannot believe it. How many people actually accomplish their annual goals and New Year’s resolutions?! Well, I did. ME! ME! ME! This blog has been such an encouraging factor. It has held me accountable. It has kept me motivated. I has given me that extra push. The products that I have been able to try out have kept me interested and intrigued with the sport and all that goes with it. The cool people that I have been able to meet in person and in the world of social media (bloggers and non-bloggers that read Running Diva Mom) have given me so much encouragement and advice. 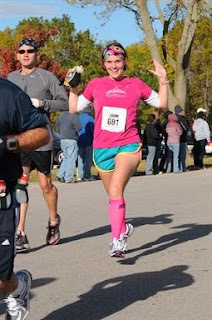 Throughout my journey, so many of you have inquired about those “fabulous headbands” I wear on my runs. I have happily directed so many of you to the Bondi Band website (HERE). I have enjoyed receiving your positive feedback about how much you like the fun, colorful headbands. How cute they are. How they keep the sweat out of your eyes and the hair out of your face while you work out. Well, Rebecca at Bondi Band has appreciated your feedback (and many, many purchases), too! She is offering FIVE of my public subscribers one of these fabulous Bondi Bands. All you need to do is be a FOLLOWER OF MY BLOG (and LEAVE A COMMENT). If you’ve been lurking for awhile, now is the perfect time to tell me who you are! I meet so many people at local races now, that read Running Diva Mom, but aren't bloggers. I know you are out there. And, for those of you with blogs, I try to get around to each of your blogs and see what you're up to, but don't always have the time. Please tell me what you're up to and how you're doing with your goals for 2010. Good luck to each and every one of you! YOU CAN ACCOMPLISH ANYTHING!!! Enter now through Saturday, November 27. FIVE winners will be announced on Sunday. Are you a sweaty runner? Are ya a little dirty? Have you heard of Dirty Runner yet?!?! I received the "Beach" technical top (HERE) from the "Pretty Dirty Girl" Collection (HERE). The Pretty Dirty Girl collection also has the Tatoo style (HERE) and the Rockstar style (HERE). These may be some of the most hip running tops I've seen yet! There was some debate about the size to order me. I typically wear a medium, but Diane thought a small may fit me better. I decided to stick with the medium and it fit perfectly. I tend to be broad/thick through the shoulders and chest and this fit me well. The fabric is soft and is moisture-wicking. There are NO TAGS and flatlock seams to reduce chafing (yeah!). The site states that the cut is flattering .... and I agree. I felt cute and comfortable when I wore this. Available in sizes S, M and L. Retails $74.99 (CDN) which is a little steep for me. The top is light and airy. This will be perfect for fall and spring, when it can be a little cool when you start and need long sleeves but don't want to overhead a mile or two into a long run. Super comfortable, too. No seams = no chaffing, rubbing or itching. I love that the fun designs are on the front ... and the back ... and the sleeves. People can see how cute you are coming or going on the course. I love the shade of blue, too. Enter now though Saturday, November 27. I was recently given the opportunity to review two tees ('Diva' and 'I'm Kind of a Big Deal') from Uncommonly Cute. You can read all about my fabulous experience HERE. Please visit Uncommonly Cute online HERE and start shopping. There were 37 entries in my recent giveaway. One winner was chose at random to receive an Uncommonly Cute top of their choice. Congratulations, Randi!!! Please email me at ( runningdivamom at charter dot net ) with your name, email and mailing address. And, I will get you your prize! I was recently given the opportunity to review a water bottle from Polar. You can read all about my fabulous experience HERE. Please visit Polar online HERE and start shopping. There were 85 entries in my recent giveaway. One winner was chose at random to receive a Polar Bottle of their choice! Congratulations, Ann!!! Please email me at ( runningdivamom at charter dot net ) with your name, email and mailing address. And, I will get you your prize! This fall, another GOTR location started up in our town. It is actually at Little Diva's school. I cannot wait until she is in third grade and will have the opportuity to participate, if she so wishes. I would love to help out with the program, encouraging Little Diva and her little friends to live a healthy and active lifestyle. I had some extra goodies lying around from a GOTR purchase that I made, when I was a Sole Mate for GOTR earlier this year. I'm hoping that you will share my enthusiasm for GOTR with a special young lady in your life! Simply become a follower of this blog and LEAVE ME A COMMENT. I hope that you can share this GOTR pen and the temporary tatoos with a special young lady. Get her excited about being healthy and active. Share the joy of running. Just think about all of the thoughts, goals and dreams she can write with this special GOTR pen. Enter now through Friday, November 26. Winner will be announced on Saturday. I was recently given the opportunity to review a brown moisture-wicking Runner Girl headband from Go Headband. You can read all about my fabulous experience HERE. Please visit Go Headband online HERE and start shopping. There were 90 entries in my recent giveaway. One winner was chose at random to receive a Go Headband! Congratulations, Kelly!!! Please email me at ( runningdivamom at charter dot net ) with your name, email and mailing address. And, I will get you your prize! As much as I TRY to cut-down … I’m a HUGE Diet Soda fan. I know that it’s better than regular soda, but still not good for you. My favorite is Diet Mountain Dew. I love chugging one of those after good, sweaty workout. But, nothing can be good about a neon green, carbonated beverage. I drink A LOT of water during the day, but I also consume tons of diet soda and coffee, too. I have a drink in hand all day long. I was intrigued by Zevia (HERE), when I came across it on another blog. 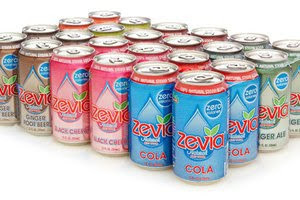 Zevia is the first all-natural ZERO CALORIE soda. Zevia contains only pure ingredients and no chemically processed artificial sugar substitutes, flavors or colors found in the other diet sodas I’ve been drinking. One of Zevia’s all natural ingredients includes Stevia, an herb native to South and Central America used for centuries to sweeten food. Stevia is hundreds of times sweeter than sugar and has no effect on blood sugar levels. Stevia helps with dental hygiene, recent studies found it has antioxidant properties and other health benefits, and it contains no calories. I already mentioned that there are no calories in Zevia, but there are also zero net carbs, fat and little to no sodium (depending on the flavor you’re drinking). Speaking of flavors, there are seven yummy Zevia flavors - ZEVIA Natural Cola, ZEVIA Natural Orange, ZEVIA Natural Twist, ZEVIA Natural Root Beer, ZEVIA Natural Black Cherry, and ZEVIA Natural Ginger Ale. Looking for caffeine? Try the Zevia Natural Cola, which has natural caffeine derived from coffee. The other flavors are caffeine-free. Ingredients Include: Stevia, Erythritol, natural caramel, natural tartaric acid, citric acid, kola nut extract, natural caffeine, annatto, and ginger root. At $23.99, a case (24 cans) fo Zevia is quite costly for the mommy on a budget. I’m not sure if I would have splurged on this on my own (actually, I know that I wouldn’t). At $1/can, it may be good enough to help me limit my diet soda intake. However, it has been a nice “treat” and a break from my other diet sodas that I regularly purchase. If it were more affordable, I would definitely be splurging on this regularly. Zevia tasted a bit different than other diet sodas. Not better, not worse. Just different. Maybe a little "tart". They were definitely still sweet and satisfying. I just didn’t feel like I was filling my body with chemicals with this stuff. I REALLY enjoyed the orange and especially the ginger root beer flavor. I’m not a big ginger ale fan, in general, so I did not enjoy that flavor of Zevia. The cola was yummy and didn’t give me the tummy problems that other leading diet colas give me (bloating, burping, etc.). The black cherry was also a nice sweet treat, when I was trying to avoid turning to the sweet snacks in my pantry. It worked … and with zero calories at that! I wish that there was something similar to my favorite Diet Mountain Dew . But, as I already mentioned ... there can’t be anything good about that neon green carbonated caffeinated beverage! Enter now though Thursday, November 25. Yesterday, I wanted to get in a decent run ... for the first time in a very long time. I wanted to get 9-10 miles in as my "long run". I'm a whimp in the cold. The weather here was icky again and in the upper-30's. No sun, breeze, drizzle. Ick. I ended up doing a double yesterday and am realizing just how much I love doing two runs in one day. It breaks up the boredom-factor and allows you to fit the miles in when you can. You have the chance to log tons of miles and don't need to carve out tons of time in the morning or the afternoon. I'm loving it. There is no dreadmill here. I was actually excited to hop on the treadmill yesterday morning for my first run of the day. Hubby ran nine in the morning and I followed with a quick four miler. I had a great afternoon with Little Diva and then came home for another six miles on the treadmill, while Little Dude napped on the couch (I sure love it when they fall asleep in the car and you can actually transport them over to the couch/bed for a much-needed nap. He was a cranky-pants yesterday.). I use to think that I was "whimping-out" to split up the miles like that. That I needed to run everything all at once; without stopping; without interruptions (more so for mental preparation than physical). But now, I figure if this mama can fit in two runs in one day, I'm pretty much a rock star. What's your take on doubles?! I love cranking my iTunes on the computer and catching up on some reality tv at the same time. Somehow, I'm able to concentrate on both (my feet focus on the tunes; my mind focuses on the tv). Is it terrible that I'm addicted to watching Teen Mom and 16 & Pregnant on MTV? Have you given a double a try? you've split up the miles?! I was recently given the opportunity to review a pink Gotta Run necklace from Sarah Jane Design. You can read all about my fabulous experience HERE. There were 131 entries in my recent giveaway. One winner was chose at random to receive a pink Gotta Run necklace from Sarah Jane Design. Congratulations, Linda!!! Please email me at ( runningdivamom at charter dot net ) with your name, email and mailing address. And, I will get you your prize! I was recently given the opportunity to review an assortment of greek yogurt from Chobani. You can read all about my fabulous experience HERE. Please visit Chobani online HERE and start shopping. There were 144 entries in my recent giveaway. One winner was chose at random to receive a twelve-pack assortment of Chobani Greek Yogurt. Congratulations, Elliott!!! Please email me at ( runningdivamom at charter dot net ) with your name, email and mailing address. And, I will get you your prize! I was recently given the opportunity to review pink flower clip hair accessories from Treasured by Holly. You can read all about my fabulous experience HERE. Please visit Treasured by Holly online HERE and start shopping. There were 28 entries in my recent giveaway. One winner was chose at random to receive a pair of pink flower clips from Treasured by Holly. Congratulations, Shelly!!! Please email me at ( runningdivamom at charter dot net ) with your name, email and mailing address. And, I will get you your prize! I was recently given the opportunity to reviewa pair of CEP Compression Socks from SportsCompression.com. You can read all about my fabulous experience HERE. Please visit Sports Compression online HERE and start shopping. There were 407 entries in my recent giveaway. One winner was chose at random to receive a pair of CEP Compression Socks (of their choice). Congratulations, Karen!!! Please email me at ( runningdivamom at charter dot net ) with your name, email and mailing address. And, I will get you your prize! 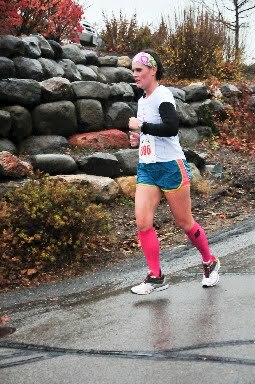 SportsCompression.com (HERE) is offering Running Diva Mom readers a 15% discount on their purchases! Just enter "BLOG15" at checkout.